Everything taken into consideration in three games —Columbia, Western Reserve University, and Pennsylvania State College— Buffalo did very creditable work. It was a foregone conclusion that Columbia would win, and the only speculation that remained was the size of the score. Everyone was looking for a large score to be rolled up against us and were agreeably surprised when the visitors could count only seventeen points to their credit. The Western Reserve game was a surprise to all as we had beaten her in previous years on her own grounds, we fully expected to do as well this year at home. But Reserve had developed a wonderful strength, her team work being of a high order, and it was only the best of luck and the fiercest kind of playing on our part that kept her from scoring. Penn State came with the reputation of having done some wonderful work during the season, but against our brawny athletes was unable to compete successfully. In the first half she more than held her own, the ball being in Buffalo’s territory most of the time, yet in the second half her line, it became evident, was far too light to withstand the onslaughts of solid formations. Battered and bruised in the mud of Athletic Field, their skill gave way to superior strength, allowing Buffalo to twice cross their goal line, and finish the season with a score of ten to nothing. Clearly the highlight of the season was the Thanksgiving Day 10-0 victory over Penn State on Thursday, November 29th. (see “Ended Season With Victory” Buffalo Evening News, 30 November 1900) Being late in the season, the conditions of the Buffalo Athletic Field were a muddy mess. The New York Times described the gridiron as more fit for water polo than football. None the less, the sports editors of the Buffalo Express newspaper called the UB win a “glorious” end to the season with Buffalo never playing better in its life. 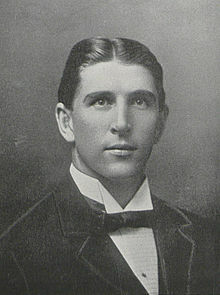 Penn State did not return to Buffalo to play UB in football in 1901. In fact, the two teams would not play each other again for another 107 years. In 2007, Penn State finally avenged their loss to UB whipping Buffalo 45-24 at Beaver Stadium. For more information on football at the University at Buffalo, visit the UB Sports History Collection website. “University of Buffalo Won Hard Game Here Saturday” The Evening News, North Tonawanda, NY, 8 October 1900. “Syracuse A.A. Beaten” Rochester Democrat & Chronicle, Rochester, NY, 14 October 1900. “Scores of Other Games” New York Times, New York, NY, 28 October 1900. “Wheelmen Beat College Team” New York Times, New York, NY, 3 November 1900. “Columbia Won Easily” New York Times, New York, NY, 11 November 1900. “Neither Side Scored at Buffalo” New York Times, New York, NY, 18 November 1900. “Penn. State Was Shut Out” New York Times, New York, NY, 30 November 1900. 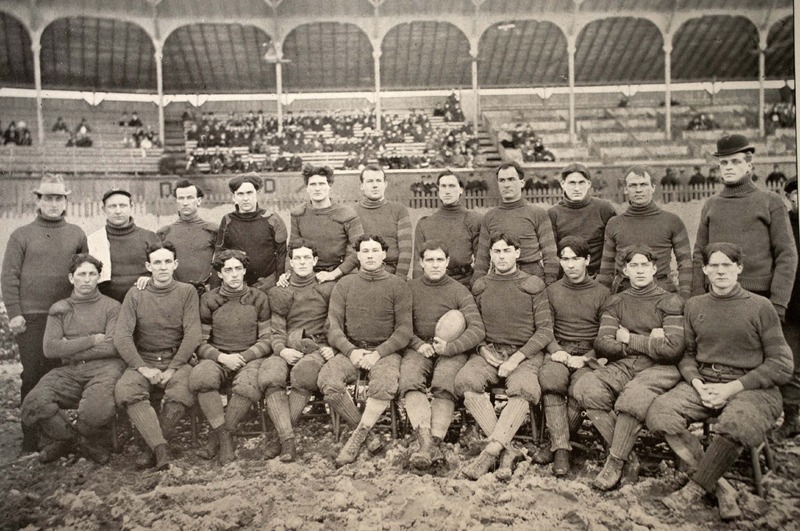 The University of Buffalo football eleven wound up a rather unfortunate season in a highly creditable manner yesterday at Athletic Field, by defeating the strong Pennsylvania State team from State College, Pennsylvania, by a score of 10 to 0 after a hard game. Never was there seen such a gridiron as that of Athletic Field yesterday. The Buffalo Railway Company’s scrapers had been used to clear off the snow, and they cleared off all the turf, too. The result was the worst bog imaginable, and after the men had been playing five minutes they were unrecognizable. After scrimmages many a State man hauled whom be thought was one of his mates out of the mud only to find that he had rescued one of the opposing team. The same thing happened to Buffalo. It was a pretty rough game, and there was plenty of slugging. In the second half Fullback Lakin, who claimed he had been hit by Ruble of Penn State, started after him on a run. Capt. Thomas pulled him back. Both men were put out of the game. For the first half it was a fierce wallow, with honors, if there were any, in favor of the visitors. The play was mostly in the Buffalo territory, and once Penn got as far as the five-yard line by successive line plunges. Buffalo finally held, however, and Thomas punted out of danger. The half ended with the ball in Buffalo’s possession, in her territory. In the second half, Buffalo started a determined onslaught with close formations – about the only thing that would work in the sloppy field – and kept the ball almost entirely in Pennsylvania territory. Persistent rushing put the on Penn’s two-yard line and then Thomas was squeezed through for the first touchdown amid much cheering. It was now apparent that a good deal of Penn’s steam was gone, and the Buffalo goal line was never again in danger. Just before the end of the half, and when it was growing dark, Thomas was again pushed over the line after a determined stand, for the second touchdown. Neither of his goals was kicked, though many spectators were positive that the second attempt was successful. The officials decided otherwise, and the score remained at 10 to 0. The teams were pretty evenly matched as regards weight, but with the awful condition of the field the true respective abilities of the teams could not be well ascertained. Coach Golden was positive that his men could have beaten Buffalo on a dry field. Coach Thomas says that if the field had been dry Penn never would have got within striking distance of the goal line, and there you are, take your choice. The game was late in starting, and there was interminable wrangling which delayed the struggle. Coach Golden says he hopes a game between Buffalo and Penn will be an annual affair. He and his men left for home at 4 o’clock this morning. Several hundred of the U. of B. boys had a shirt tail parade last night in honor of the victory, and then attended the Court Street Theater in a body.